Pretty neat likeness! So great that you were able to put the two of them together! I am looking forward to a completed painting, but the sketch itself is awesome. So right on, Jana! I love this! Funny, I’m curious about how “generous” your tip was! 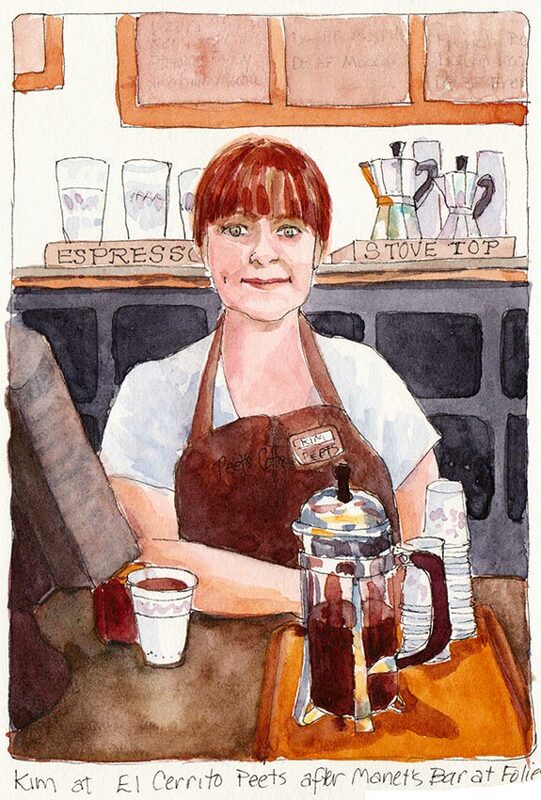 What does a barista/model make these days…? Hee! wonderful-love her expression and the dimple. Your take on the Manet is lovely, Jana. We had posters of Manet, Degas, Matisse and Turner (odd man out!) in a flat, years ago. What a fantastic and spontaneous thing to do! Love the results too! What fun to draw her in that pose. Lovely picture. I’m waiting now someone to pose for you like the Folies Begiere (sp?) girls that Lautrec used to paint. Jana, while your first impression of the computer might be that it’s not pretty I love that it’s there placing the woman in modern times. Manet included things from his time, it’s totally appropriate, I’m glad you put it in. I love your sketch and look forward to your painting! This looks great Jana! and I actually like the monitor screen in the setting…it belongs in our modern day life. I think the painting will be so great.. I don’t usually see you post portraits, but I have really enjoyed this post and the Bob Dylan painting too. Hi Jana, I am with Ronelle, I like the computer. It gives it a place in our time. However i know you will make it great what ever you do. it’s great right now. 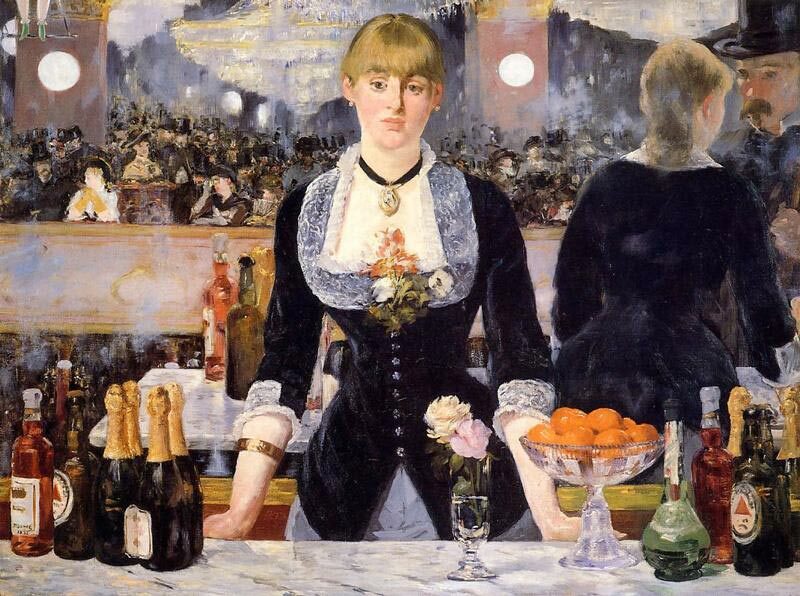 Hi Jana, Cool linkage of Manet to your coffee bar. I like your choice of palette. All the muted tones work well together and make me think of coffee. Whether or not you use the computer, it would be fun to see another one. Festive! Really amazing! I love her dimple and the similarity between the 2 paintings. She doesn’t look as jaded as Manet’s barmaid.